The greatest painter of the Italian Baroque, Caravaggio was also a quicktempered, murderous swordsman. Few artists have had a police record like his. When painting, however, he became a mystic. The models for his Virgins and his saints were prostitutes, but his pictures are deeply spiritual. At the height of his fame, just after painting the Pope's portrait, Caravaggio killed a man in a duel and had to hide for his life in the wild hills outside Rome. Outlawed, he became a Knight of Malta but, for half-killing a fellow knight in another duel, was thrown into a dungeon from which he escaped, leaping over the prison walls with a rope. After fleeing along the coast of Sicily on small boats, pursued by a nameless enemy, he was caught in a Neapolitan brothel by his enemy fs assassins and left for dead, so disfigured by sword cuts that he was unrecognisable. Trying to return to Rome, he was shipwrecked, mistaken for a notorious bandit and arrested, before dying on a Tuscan beach in mysterious circumstances when he was still only thirty-eight. All this time he had been painting furiously, in cellars by lamp light, pictures that are masterpieces. Some must still await rediscovery. Was Caravaggio a homosexual, whose religious scenes are secretly suffused with homoeroticism? What were the causes of his self-destructive binges and endless brawling? Did the Knights of Malta murder him? Just where did he die and where was he buried? Making use of very recent discoveries in Italy and elsewhere, Desmond Seward answers these questions. His book is at the same time a gripping adventure story and a study of a moody, violent genius, playing dramatically on the contrast between wonderfully creative art and a vicious private life. It uses both the pictures and contemporary crime reports to peer into Caravaggio fs mind. 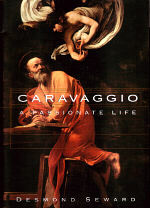 "Desmond Seward has written an indispensable book on Caravaggio - equally balanced and historically double-checked. But even with all its references, dates, names, quotes and careful scholarship, this biography reads like a novel that is impossible to put down ... What Seward does, to riveting perfection, is convey 16th century life to the reader. He takes Caravaggio's renowned naturalism and shows us where it came from. He transports readers to Rome in the 1590s, where they explore the old stones of the ancient empire, step over the human excrement in the streets, and witness the pageantry of luxurious horse-drawn carriages promenading through the mud. Readers lurk with Seward in the darkness, light lamps and candles, and feel the damp as the Tiber rises, leaving behind more than a thousand corpses when it finally recedes after a terrible flood. They stand in the crowd and watch as the heads and bodies of decapitated criminals are quartered and hoisted on spears and ramparts for display." "Seward does a fine job of piercing together circumstantial evidence of the painter's turbulent life, while skilful juxtaposition of Caravaggiofs personal narrative and art illuminates the origin of his dramatic style." "Seward does a good job of bringing together recent scholarship and background material on Caravaggiofs milieu." "Seward ... seeks to clarify the facts and establish a context for the shaping of Caravaggiofs notoriously tormented sensibility. He spares no gruesome details in his staggering descriptions of the plague years, during which young Caravggio lost most of his family, or of the treacherous streets of Rome where nightly knifings and daily public executions made for a macabre world ... Sewardfs emphasis on Caravaggiofs religious convictions goes much further in explicating the power of his art and the nature of his soul than speculation about his sexuality." "he has written a well researched biography of Caravaggio which, in his own words, "Uses the pictures to peer into his mind." Aimed at the general reader, rather than the specialist, it certainly succeeds ... 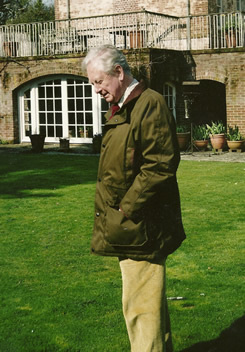 In many ways his treatment is reminiscent, as he admits, of Peter Schaffer's treatment of Mozart in 'Amadeus'." "Seward's scholarship is pointed, unpretentious, often amusing ... He does his "modest best" to get inside Caravaggiofs head through the use of original sources and an adventurous exploration of the world that Caravaggio inhabited ... Caravggio is a lively read, and a rewarding one. Seward's "modest best" is very good indeed."